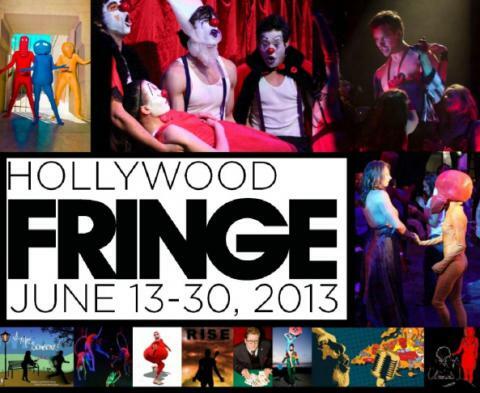 This year’s Hollywood Fringe Festival–only the fourth in it’s history–featured 212 separate productions in 50 different spaces for a total of more than 1,000 performances. They took in $258,000, all of which went directly back to the individual productions. For a city not known for its theater, that’s no small beans. The Hollywood Fringe, like most Fringe Festivals, places a premium on being uncurated: Provided you can afford the $250 registration fee, the rental of a theater, and your own marketing and production expenses, anyone can participate. Unlike with the New York International Film Festival, which is curated and provides space and publicity for its shows, participants in the Hollywood Fringe are required to be their own producers, from choosing a suitable venue to targeting their audience to setting their own ticket prices. As with individually mounted productions, every show keeps 100% of their ticket sales. To run any kind of theatrical endeavor in this town you can’t just throw a bunch of actors together and think that fantastic things are going to happen. You need at least one person that is business-minded, that knows how to put a marketing plan together, to create the financial environment in which great art can thrive. Otherwise all the actors are always stressing about money and they shouldn’t be. They should be stressing about creating great art. In addition to providing participating shows with discounts from marketing vendors and affordable theater rental prices, the Hollywood Fringe offers artists a kind of producer-training program in the form of town halls and workshops that guide artists through creating a budget, a Kickstarter, and a marketing plan. As a result, the Festival hosts productions of all sizes, from one person sitting in a chair to multi-media productions to musicals with live bands, reflecting an astonishing variety of ways to make theater. The downside to this structure is that groups with more money can afford a nicer space, better design, more marketing, and ads in the Fringe program, which constitutes an advantage over other participants in attracting audiences and winning the coveted Festival awards. The awards ceremony was the first time I had the opportunity to see all of the Fringe participants in one place, and though I thought I had seen a number of shows, I was astonished by the number of productions I hadn’t even heard of. Because the central Fringe organization provides no marketing for the actual productions, the only way for shows to get the attention of the press is to have the money and know-how to pitch us on their own. I therefore chose what to see not based on content, style, or on what the HowlRound audience would be interested– in fact the Fringe website provides little guidance in sorting through hundreds of offerings–but rather on which individual shows invited me. The thing about open access is we don’t invite, we don’t solicit. We put the flag out there and say gather round the flag. It’s just a matter of who responds. We don’t recruit, but everyone is invited. Unfortunately, the longer the Hollywood Fringe is known as a relatively homogeneous event, the less likely other groups will be to participate. If Hill and his team want a Fringe that reflects the reality of life in Los Angeles, they will have to make a concerted effort to diversify before the Festival gets any bigger. Los Angeles is tricky when it comes to theater because it’s so vast and dispersed, a problem public transportation hasn’t been able to solve. There is no one place to see theater. So one month out of the year we provide a true sense of place, a sense that if you come to this place you will see people you know, you’ll see people you saw theater with, made theater with, talked about theater with. And any time when artists are congregated in the same place for any period of time, that’s when movements happen.